Using the graphic novel as a starting point, David J Schow and John Shirley co-wrote the screenplay that Alex Proyas would work from as he directed the film. The cast was of a good calibre. Brandon Lee (in pretty much his best ‘starring’ role to date as Eric Draven) Ernie Hudson, Michael Wincott, Rochelle Davis, Bai Ling, David Patrick Kelly and Tony Todd. 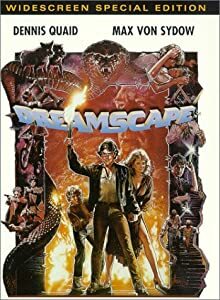 Perhaps best known as the film that Brandon Lee died on (he was accidentally shot by a ‘prop’ gun that had been handled incorrectly) the film has gone on to become a cult favourite. It is arguable as to whether the film would ever have reached the heights of popularity that it enjoys had Brandon Lee not died during the filming. I personally believe that the film would have still built a firm fan-base just because it captures O’Barr’s world so well. Eric Draven and his fiancée Shelly Webster (Sofia Shinas) are just two more casualties of Detroit’s Devils Night, a night that Top Dollar (Wincott) and his gang attempt to burn and destroy as much of Detroit as possible. They also terrorise the local inhabitants in their pursuit of destruction. Along the way he bumps into police Sargent Albrecht (Hudson) and street urchin Sarah (Davis) who both recognise him as the deceased Eric. As he hands out personal retribution to each gang member on his way to Top Dollar (Wincott), Dollar’s right-hand woman, Myca (Ling) discovers that Eric’s power comes from the crow. Top Dollar and Myca work out an ambush where they intend to destroy the bird and Eric. The Crow is darkly beautiful. It’s Gothic imagery reaches out to you from the screen. The inhabitants of this dark, wet and depressing world ane bigger than life and just as jaded. Everyone except for the films ‘good’ guys are in search of excitement and meaning to their lives. Cop Albrecht lost a crucial part of himself on the night that he watched Shelly Webster die, Sarah the street urchin lost her mother (figuratively) and the only people who cared about her, Eric and Shelly. The villains of the film are all in search of excitement via destruction and death. They inhabit this world vicariously through drugs and boredom and a certain level of insanity. The soundtrack of the film is probably the best I’ve ever heard, including songs from The Cure (whose song Burn became the films main anthem and was not included on the soundtrack or on The Cure’s album as a sign of respect for Brandon Lee), Nine Inch Nails, among others and the overall feel of the music was like the film dark, gritty, and Gothic. My only complaint about the film would be that actor Tony Todd could have been in the film a bit more. Just a personal preference of mine, I hasten to add and I adore the man’s work. Overshadowed by Brandon Lee’s death, this Independent film has managed to overthrow the stigma and continues to gain in popularity. At one point it was listed as one of the top 500 films of all time (468th). Some of the actors were not so lucky. The young Rochelle Davis who performed so outstandingly as Sarah has never worked in the industry again. She was extremely close to Brandon Lee and his death affected her the most. Actor Michael Massee who actually discharged the pistol that killed Lee was so upset that he took a year long sabbatical from the entertainment world to get over it. When investigations regarding the incidents that led up to Lee’s death concluded, it appeared that a series of errors and misunderstandings combined with poor prop control all contributed to Lee’s death. There was talk at one point of re-making the film with more emphasis being placed on realism and giving the film an almost documentary feel. This has apparently been shelved indefinitely as most of the main players involved with the intended re-make have dropped out of the project. Another reason a re-make may not happen any time soon is the fact that the film has been beleaguered by several lawsuits that are still outstanding. Not only affecting the profit margins of the film but also hindering the chance of re-imagining the film. 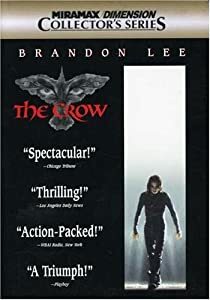 Still, the original is just as great to watch now as it was when it was first released in 1994 and I cannot think of a better epitaph for the fine actor that Brandon Lee was becoming before his untimely death. Definitely a classic and a worthy film to have in your library.